Sibley held a unique attendance celebration in February. The timing was perfect. After a full week of snow days students who were on target for attendance in the second marking period were transplanted to a warm Hawaii life for the evening. Everyone received lays, sunglasses and Hawaiian drinks with island umbrella straws. 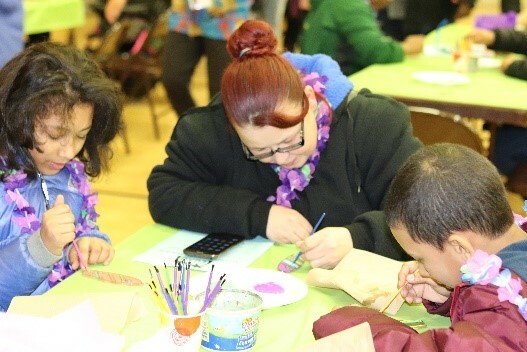 Caribbean music and activities such as Hula-hoops, beach balls, coconut bowling, Hawaii photo booth, surfboard painting and a beach raffle rounded out the evening. All had a great time.